The Saratoga Race Course is one of the defining hotspots in Saratoga Springs NY, drawing visitors from all over the world for a day at the races. The 2019 season for the Saratoga Race Course begins with Opening Day on Thursday, July 11, 2019 and ends with Closing Day on Monday (Labor Day), September 2, 2019. There are five days of racing each week all season long (the Track is dark on Mondays & Tuesdays). Travers Day will be Saturday, August 24, 2019. 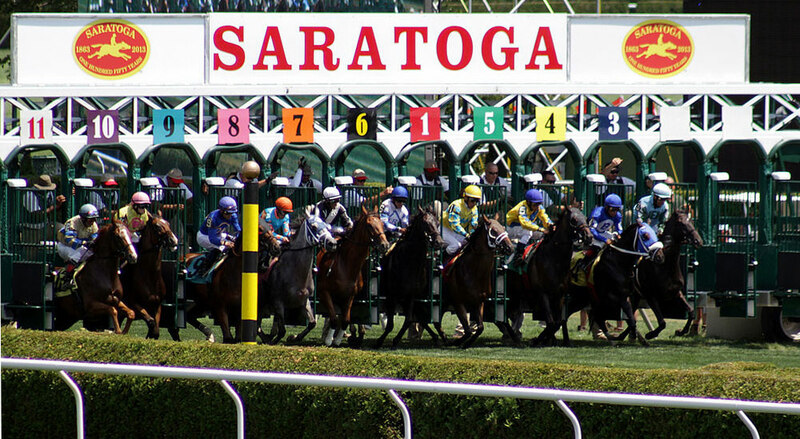 Planning a visit to the Saratoga Race Course? Dress code, tickets and parking are just a few of the FAQ's of racetrack visitors. Find more information using the quick links at the top of this page. For more Saratoga Race Course information, visit SaratogaRaceTrack.com or the NYRA website.